As the Brexit storm swirls across the British Isles, much focus has been paid to the growing demands for Scottish independence, but another region of the United Kingdom that voted to stay in the European Union, Northern Ireland, remains largely forgotten and may represent the hardest challenge for the withdrawal from the EU. Last week’s snap election, held after the dissolving of the Northern Irish Assembly at Stormont, showed the historic divisions in the territory, that has been stained by decades of armed conflict, reinforced by the Brexit vote. 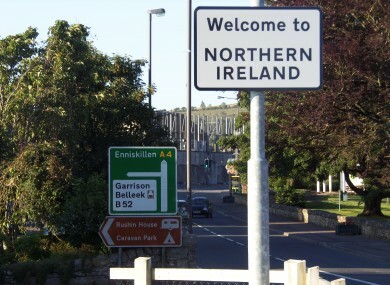 After 20 years of relatively stability and peace, the threat of returning border controls between the two Irelands has sparked fears of increased sectarianism and outbreaks of violence. While nationalist parties, who support the reunification of Ireland, experienced a surge in popularity in the election held the 2nd of March, the unionists lost their symbolic majority that they have enjoyed since the province was created. With the Democratic Unionist Party (28 seats) and Sinn Fein (27), Stormont is now as divided as ever, putting the power-sharing agreement is at risk. The two main parties do not see eye to eye on many issues, with the nationalist Sinn Fein warning that Irish unity has never left their agenda. In a territory that vastly relies on EU aid, the brutal result for unionism can easily be linked to Northern Irish voters’ dissatisfaction with the UK’s leaving the EU. The open border with the Republic of Ireland inside the European Union was a key aspect of the successful peace process, when the Good Friday Agreement was signed in 1998. Now, strong fears abound over the hardening of the border, which has reawakened the memories of the long decades of ‘Troubles’, which savagely tore Northern Irish society apart and took the lives of 3,500 people. Not only harming the countless businesses that operate across the border, a hard border presents a psychological blow to those who dream of a united Ireland and to the strongly and historically linked border communities. The management of the border with the Republic of Ireland could become one of the main implications of Brexit. To ensure the peaceful coexistence of the Protestant (Unionist) and Catholic (Nationalist) communities in Northern Ireland and to prevent any flare-ups of conflicts, this issue must become a priority for Westminster.